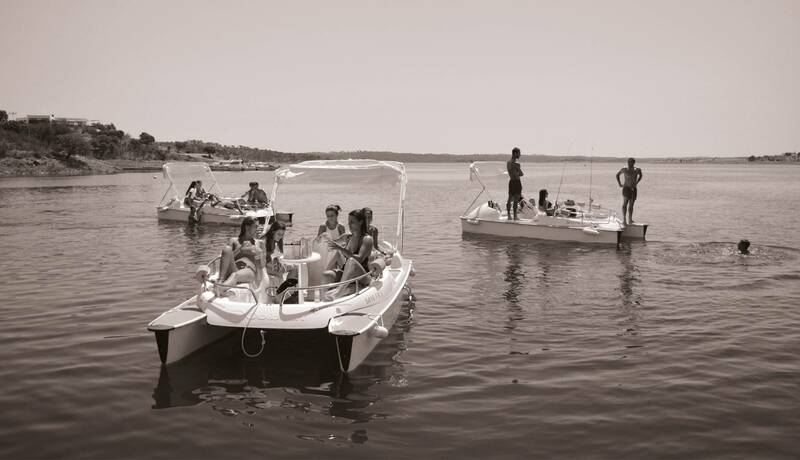 Amieira Marina has electric boats available for rental. Find out what these boats have to offer. These boats are perfect for a family outing or just for hanging out with your friends, take a small cruise of your choice, prepare meals on board, for fishing, bathing or just cruising. The electric boats are comfortable and have special features that will make your experience more comfortable. Clients don't need any special qualification to steer these boats. Skippers will be given specific training to steer these boats. The only requirement is that you need to be of legal age. * A security deposit of 200€ is required, corresponding to the insurance premium for damages. The deposit will be returned to you if the boat is returned in a perfect condition.